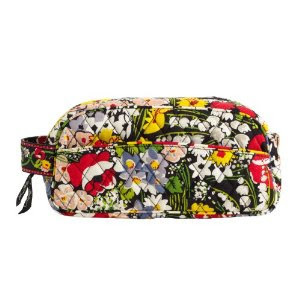 Look great while traveling or at the gym with this Vera Bradley Trip Kit! This classic accessory has been designed for the stylish yet practical woman. Big enough to hold all your primping necessities, such as hairspray bottles, cosmetics, razors and brushes. The outside pocket is great for easy toothbrush access. This Win it Wednesday Giveaway will end on February 28, 2012.